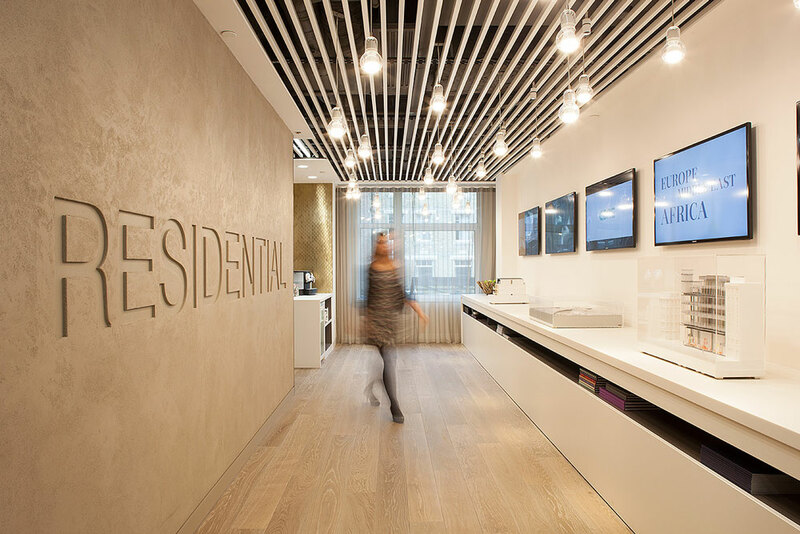 Following the merger of EA Shaw and CBRE, CBRE’s Executive Director, Lisa Hollands asked Create to design and deliver a new 2,100 sq ft Residential Marketing Suite at the London Headquarters building – Henrietta House. The brief was simple; create a space with a residential feel that our clients will feel at home in. 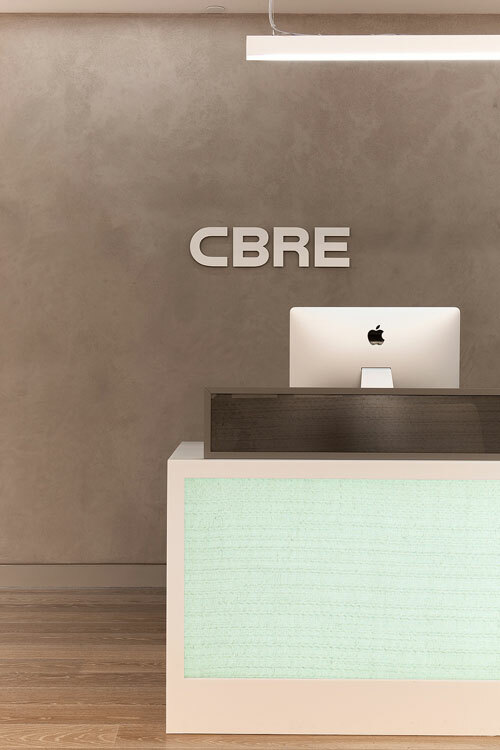 It was important that the space provide the newly merged businesses with a place to grow, develop their teams and ultimately build and promote the CBRE residential brand. 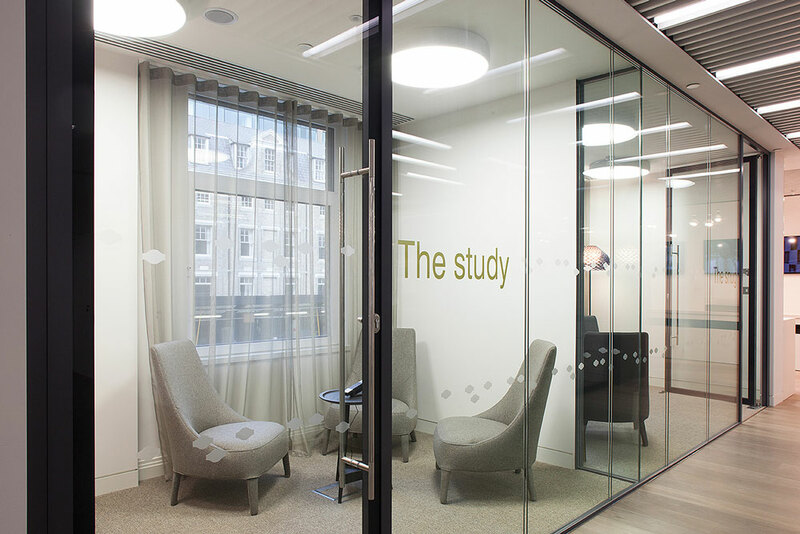 With clever use of materials which create a warm and inviting atmosphere the spaces does feel comfortable and homely; not so easy to achieve when faced with a traditional Cat A floor-plate in a building which oozes with the traditional CBRE corporate branding and identity. Clients and visitors arrive in the main reception and are escorted to the marketing suite where they can grab a coffee, sit and relax or peruse the gallery space filled with architectural models & giant exhibition display screens. A ‘Concrete’ monolith plaster feature wall and beautiful timber floor links the spaces together. 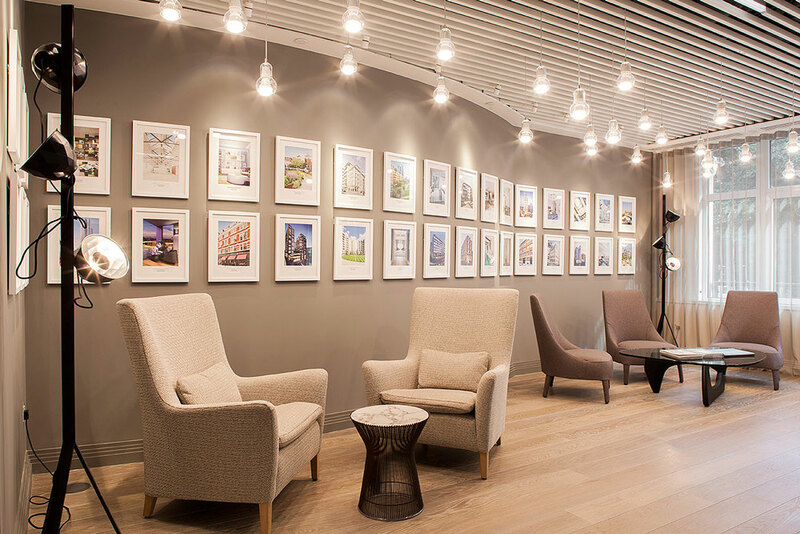 A picture wall fills the reception area with a gallery of projects past and present. Beyond the gallery spaces are a series of project rooms and snugs suitable for meetings, presentations, collaboration sessions and quiet time. Filled to the brim with quirky objects and a vast array of inspirational books and magazines and provide a relaxing backdrop to these creative hubs. 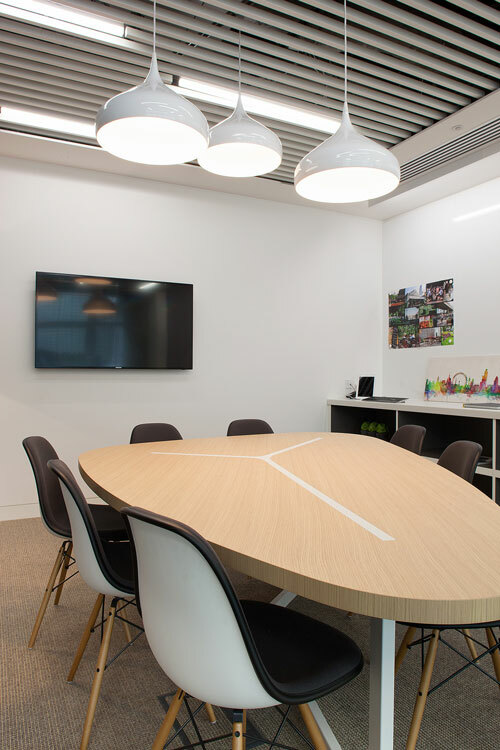 Behind the marketing suite is an open plan office area where the residential teams conduct their day to day business; the space has both quiet and buzzy zones to promote the different job roles. Sign posted by a quirky neon sign visitors are invited to glimpse into the office area and experience the creative atmosphere. 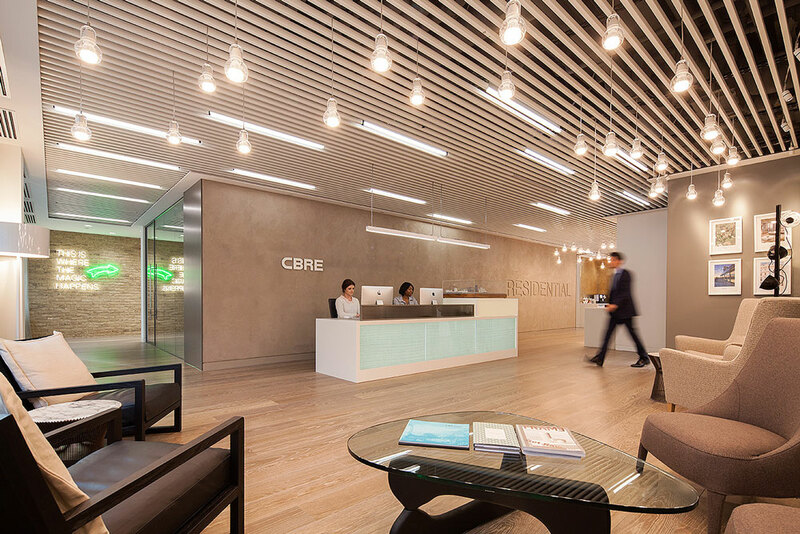 Create design and delivered this project representing their client, CBRE Residential and working closely with the CBRE internal delivery team. We are absolutely delighted with your meticulous designs, inspired creatives and the final result. Our new office space is beautiful, and greatly admired by everyone who walks through our doors. Your attention to detail has been particularly appreciated. We wanted something perfect, and your dedication to getting everything right has ensured we succeeded! The thing that really makes me proud of our new office space is all the quirky details that make it our own. 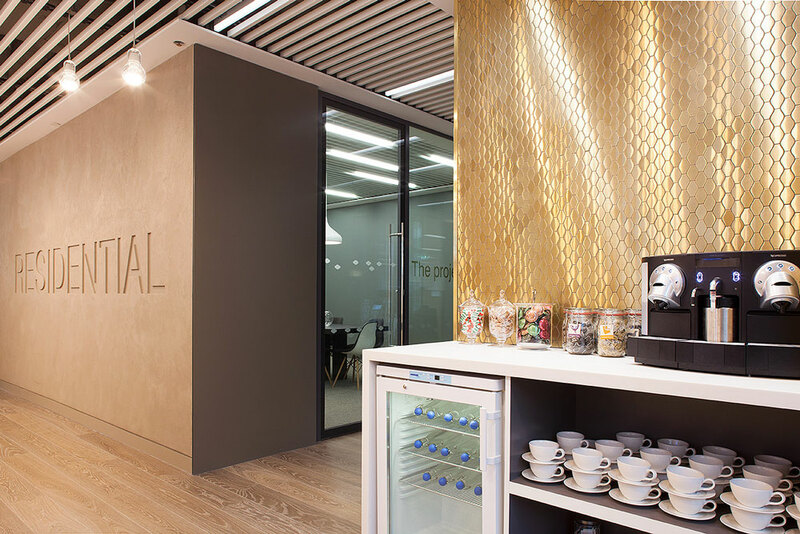 From the stunning textured wall that hits you as soon as you walk in, to the luxurious gold tiling, the sleek wood floors, and the classic but eclectic furnishings, the range of materials makes the space interesting. As a residential business the area needed to feel homely, and you have helped us to create a space so cosy most people would happily live here!